FREE $10 To Spend At MAC! PLUS FREE Shipping! 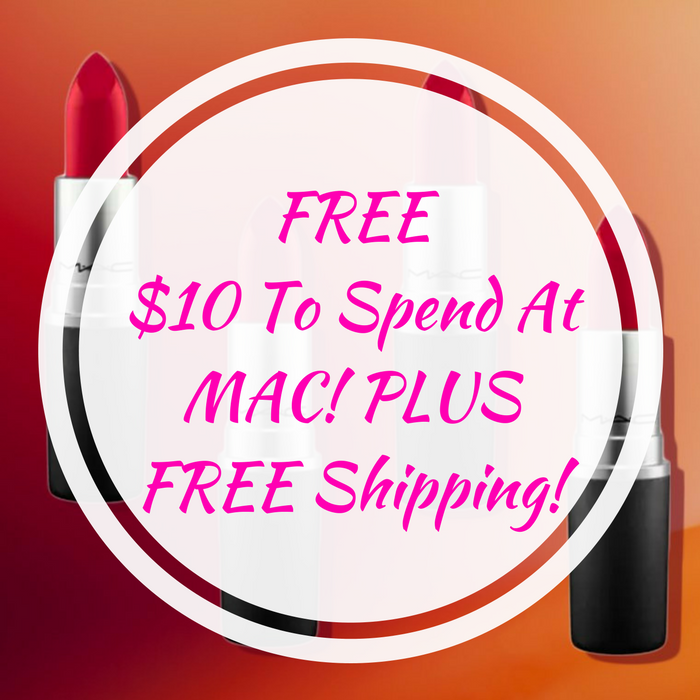 You are here: Home / FREEbies / FREE $10 To Spend At MAC! PLUS FREE Shipping! Until March 18 only! To all New TopCashback members, sign up for an account here (if you haven’t), and score a FREE $10 To Spend At MAC which you can use to purchase a MAC Lipstick in any color for FREE PLUS FREE shipping! Search the Sale section or MAC Littles for a $10 item!